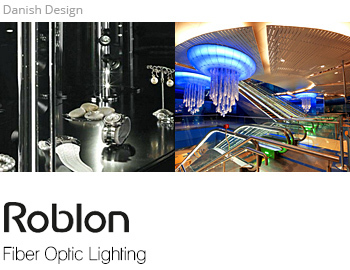 Roblon Lighting Division is commited to the development of high quality products with unique and elegant design. Over the years, Roblon Fiber Optics has been known to bring state-of-the-art fiber lighting products to customers world wide. We specialise solely in fiber optics lighting, and through our focus we are dedicated to being on the leading edge of the industry.